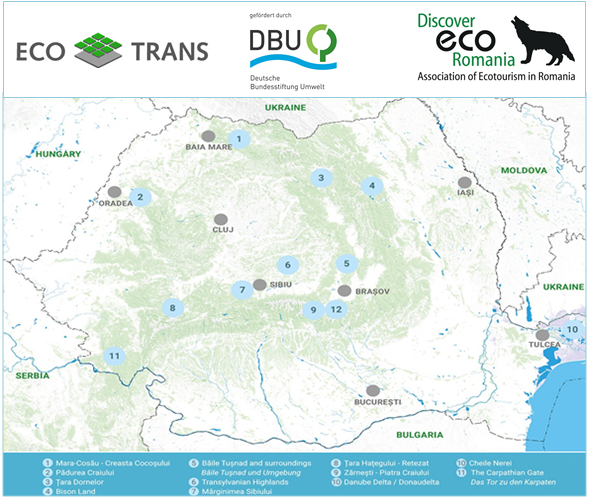 ECOTRANS is providing technical support to AER, Romania, with financial support from the German Environment Foundation. German project title: "Umweltkommunikationsmaßnahmen zur Entwicklung eines nachhaltigen Tourismus im Nationalpark Călimani-Dornaland und weiteren Modellregionen in Rumänien"
The project aims to bring additional values for nature conservation integrating it into a modern concept of ecotourism destination, where protected area administrations together with local municipalities and tourism businesses are in partnership. The main reason for the partnership will be to guide the whole micro-region towards sustainable development and to better use the protected areas for education and communication about the natural and cultural values of the destination for visitors. The SECTEUR project (Sector Engagement for C3S - Translating European User Requirements)aims to understand the requirements of climate information across a number of sectors: agriculture, forestry, coasts, health, transport, insurance and tourism. 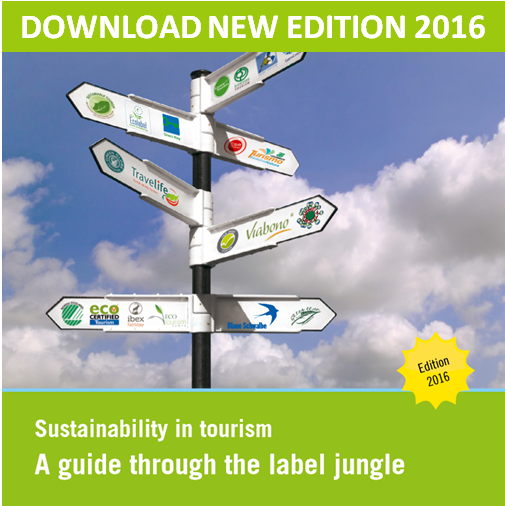 The project is co-ordinated by the University of Leeds, the project partner TEC is responsible for the tourism sector, ECOTRANS is contributing as so-called sector champion.